If loving a car is a crime. then go ahead and arrest me officer. 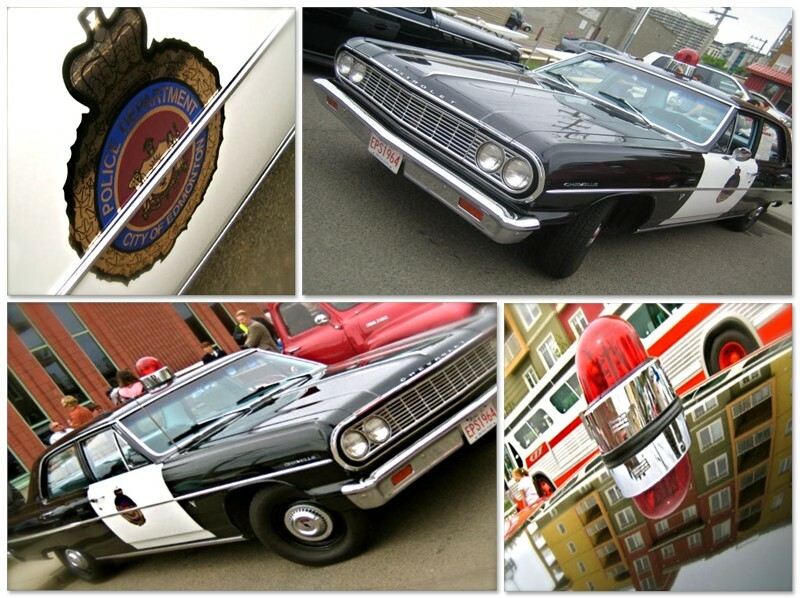 Check out this restored Edmonton Police cruiser, it’s a 1964 Chevy Malibu. How much do you love that red light? It’s like the ‘cherry on top’. I was over-the-moon happy to see these classic cars roll into my neighborhood on Friday. It was a charity fund raiser for Edmonton Meals On Wheels. 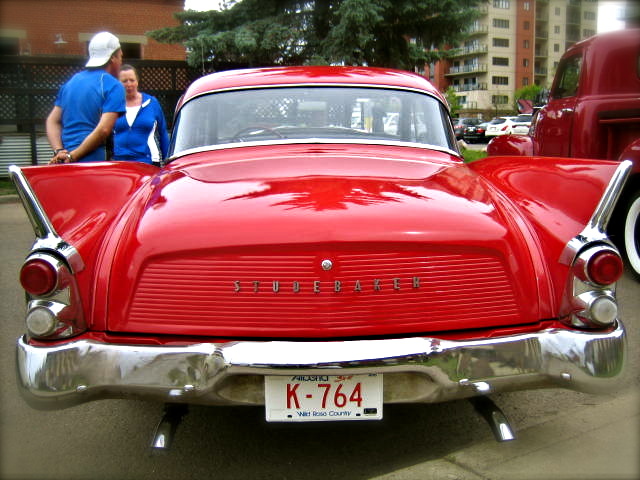 Along with the great weather, there was a BBQ, local TV personalities and some crazy cool cars. 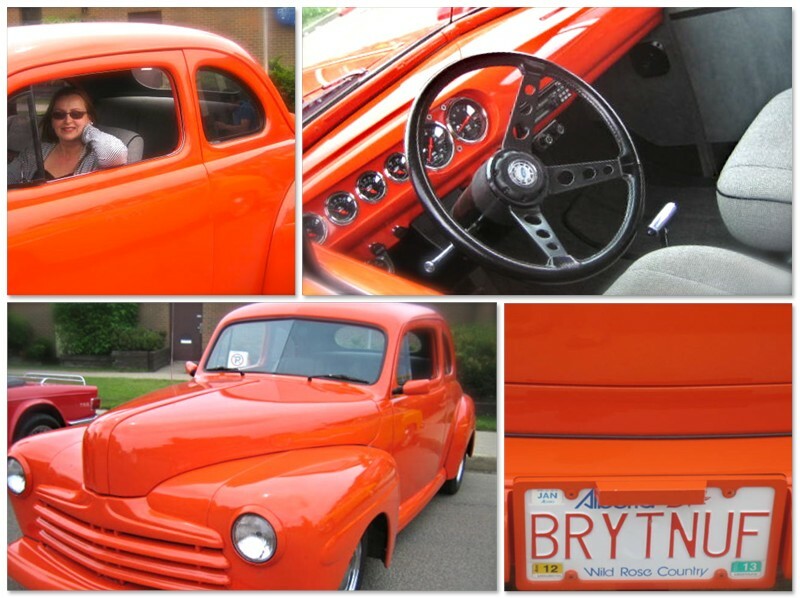 One of my favorites was this orange beauty restored by Dave Arsenault of Lucky’s Rod Shop in Edmonton. When Dave asked “do you want to sit in?” I felt like a school girl. Look at the license plate, it’s perfect. Then I turned around and almost fainted. First off, it’d be super practical. Just look at all that cargo room. Can you say “road trip”? Second, it’s aqua blue! Unfortunately the owner wasn’t around, maybe eating BBQ? I’d tell him how much I love his car. I got a kick out of this vintage 1960 ETS (Edmonton Transit System) Bus. It’s just slightly more vintage than me, maybe I need a restoration. I got the lowdown from Tim, a 33 year veteran and Training Instructor with ETS. This classic would seat 49 passengers. It’s just like the bus’ I’d ride around in as a kid. In those days you could hop aboard for a mere 10 cent fair. 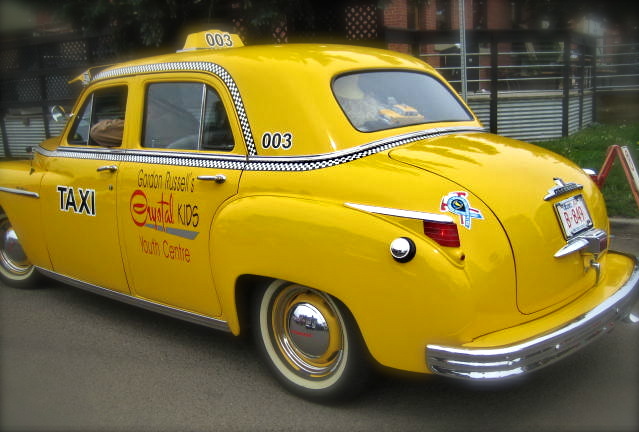 I wonder if this “Big Yellow Taxi” ever took away any ones old man? I don’t know why they don’t put this awesome hood bling on cars anymore. I’m sure you wouldn’t be able to keep them in the show room long enough to whistle Dixie. It’s really obvious these classics are proudly driven and well cared for by their dedicated owners. Not only are they talented craftsmen, they’re a good bunch of guys contributing to an important charity in their community. Edmonton Meals on Wheels delivers approximately 574 meals a day. After the BBQ, they even loaded up their cars with meals for delivery. Nice guys? Hell ya and their vintage cars are cool. 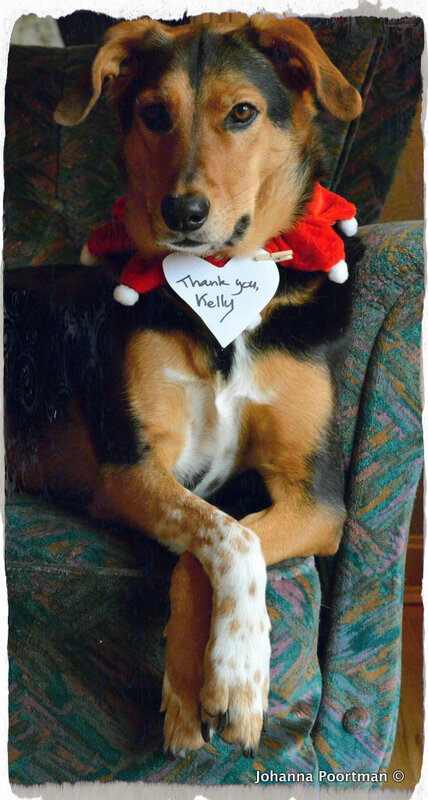 What a fabulous post, and am so glad you linked it from the “Not Today” post. Thanks for linking back to another oldy but goodie 😀 Are you a fan of vintage cars. I would drive off in any one of these gems and be the happiest girl every. Well except the cop cruiser I guess LOL. As you can see by the visits, we are in the minority HA.